Give the gift of airline travel. 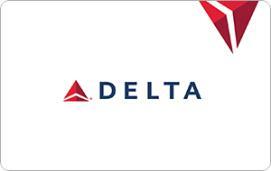 All gift cards can be used toward airfare at delta.com, at the airport, through Reservations or by phone with Delta Vacations. 319 DESTINATIONS. LIMITLESS ADVENTURES. Gift Cards may not be redeemed within seventy-two (72) hours after the time of purchase.